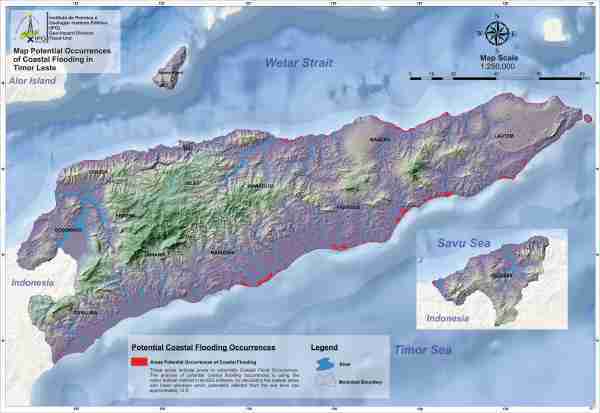 Map shows the Coastal Flood potential occurrences in Timor-Leste Coastal Areas. Red polygon boundaries along the coastal areas shows the area susceptible for coastal flood occurrences. For more information and high-quality resolution of the Map, and for each municipalities coastal flood map please feel free to contact the IPG office, at Rua, Delta I, Aimutin, Comoro, Dili, Timor-Leste, Office Number (+670-3310179).